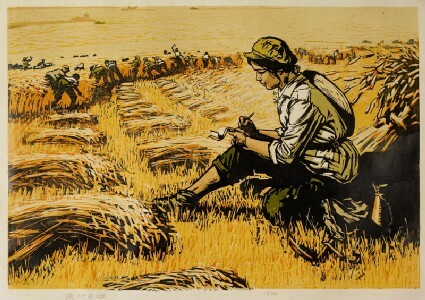 This print presents a harvest scene during the Cultural Revolution, when young intellectuals from cities settled in remote countryside to be ‘re-educated’ by farmers. The title is from a poem by Mao. Inspired by the prints of Chao Mei, the artist voluntarily applied to go to the Great Northern Wilderness region to be an agricultural worker. 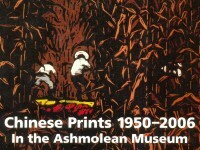 Zhang was trained in Western art during his study in the Middle School attached to the Central Academy of Fine Arts in Beijing. From the late 1970s, Zhang’s prints gradually discarded the influence of propaganda and began to depict female figures with classical beauty.